On January 4, Secretary of the Interior Ryan Zinke announced the release of the National Outer Continental Shelf (OCS) Oil and Gas Leasing Draft Proposed Program (DPP) for 2019-2024. The DPP proposes to make 90 percent of OCS acreage available to consider for future exploration and development. Identified in the DPP are 47 potential lease sales including acreage off the coast of Alaska and regions in the Pacific, Gulf of Mexico and Atlantic. This would be the greatest number of lease sales proposed in a five-year lease schedule. 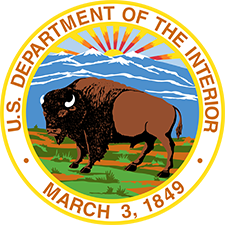 In conjunction with the DPP, the Interior Department will also move forward with preparing a Draft Programmatic Environment Impact Statement (EIS) for the new five-year leasing program. Public hearings will be held around the country to receive comments on the DPP and to inform the EIS. The DPP and EIS information will be published in the Federal Register in the coming weeks. Once published, stakeholders will have 60 days to submit comments. Release of the DPP is an early step in a multi-year process to develop a final OCS leasing program. The Interior Department will use information received from stakeholders during the public comment period to develop the proposed OCS leasing program. PESA will be collaborating with other trade associations to advocate for a robust OCS leasing program. The Government Affairs Committee spearheads PESA’s involvement in this issue. For questions or additional information, please contact PESA Senior Director Public Policy Jean Gould.